REPaloud (Reading Excellent Plays Aloud) is an opportunity for Nashville Rep to share exceptional scripts as staged readings with casual and experienced theatre fans. 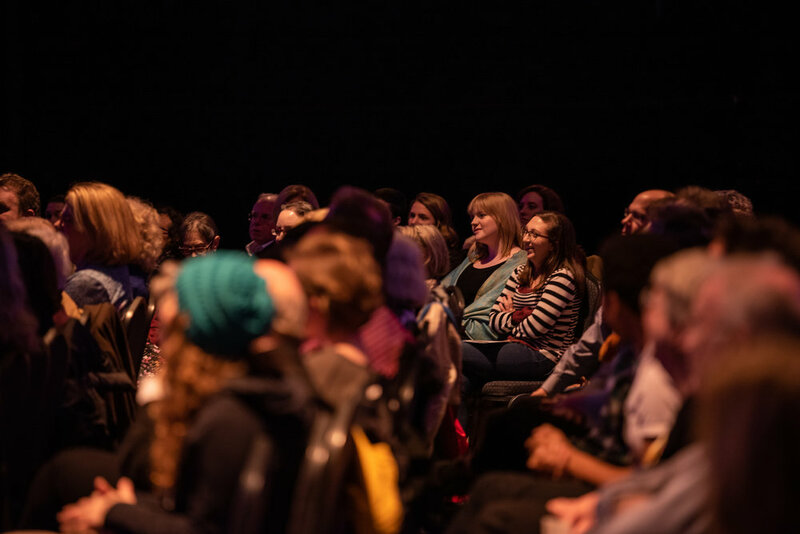 The titles performed at REPalouds cover a range of genres and topics, and the reading is immediately followed by a moderated talkback so the audience can voice their impressions of the play – what surprised them, engaged them, angered them, confused them, etc. We cannot wait to bring you new, powerful REPalouds during out 2019-2020 season! They will be announced this summer before the season begins in September. Nashville Repertory Theatre's LookIns are fun and insightful FREE events that dive into the creative process behind our next theatre production. Each event features remarks by the play’s director, an in-rehearsal scene with the actors, meet-and-greet opportunities with cast and creative staff and other Nashville Rep supporters, plus food and drinks provided by Nashville Rep volunteers. Produced in association with Tennessee Performing Arts Center Education. To be determined. Because Every Brilliant Thing is a special presentation for one weekend only, details of a LookIn have not been finalized. Keep an eye on our website at TPAC’s to be the first to know if there will be a LookIn.